The law requires that you appear in court for your case. A phone call is not an appearance. If you were issued a citation, you must appear on or before your appearance date. The amount of time you have to appear or pay fines is printed on your citation. 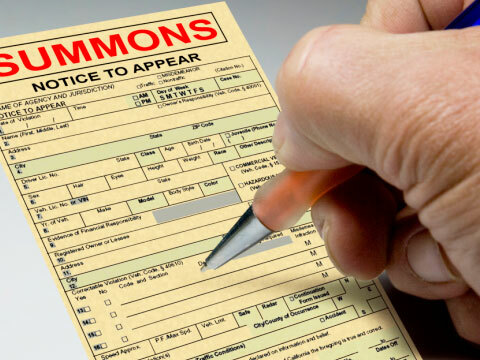 If a complainant filed your case, you will be notified by mail of your court appearance. All persons entering the courtroom shall be clean and dressed in a manner that reflects dignity and respect for the court. For security purposes, all electronic devices, including cell phones, pagers, iPods, PDAs, cameras and laptops are not allowed in the courtroom. Please leave these devices at home or secure them in your vehicle. Talking is not allowed in the courtroom while the judge is on the bench. Do not lean or place your arms on the judge’s bench. Eating, drinking, or chewing gum in the courtroom is prohibited. When responding to a question in the courtroom, answer, “Yes or No Your Honor” or “Yes or No Sir/Ma’am”. Additional fines may be added for each “yeah” or “nod” response. Any form of horseplay or disruptive behavior will result in removal. A formal trial is held for a plea of not guilty. As in all criminal trails, the state is required to prove the guilt of the defendant beyond a reasonable doubt. Your decision concerning which plea to enter is very important. You should read the following explanations of the three types of pleas and think carefully before making your decision. If you plead guilty or nolo contendere in open court, you should be prepared to pay the fine. By a plea of guilty, you admit that you committed the act charged, that the act is prohibited by law, and that you have no defense or excuse for your act. You should understand that a plea of guilty may be used against you in a civil suit. A plea of no contest means that you do not contest the charge against you. You will almost certainly be found guilty, unless you are eligible and successfully complete a driving safety course and / or a court-approved probation. A plea of nolo contendere cannot be used against you in a subsequent civil suit for damages. A plea of not guilty means that you deny guilt or that you have a defense in your case and the state must prove what it has charged against you. You will need to decide if you will hire an attorney to represent you. You are not required to hire an attorney to represent you. You may represent yourself. If you decide to represent yourself, view the Trials page for useful information. Trials conducted in the Duncanville Municipal Court are in accordance with the due process requirements of the United States Constitution, Texas Constitution, and Code of Criminal Procedure. Defendants may be represented by an attorney or may act pro se, which is a Latin term meaning that the defendant represents his / herself at trial. Article 1.05 of the Texas Code of Criminal Procedure states that a defendant cannot be brought to trial until being formally charged with the offense in a complaint. The complaint is a sworn document that alleges the offense you are alleged to have committed and that your conduct was unlawful. Only the offenses alleged in the complaint may be brought to trial. Jurors from the Duncanville community will be summoned to appear for service. The municipal court prosecutor and defendant will have the opportunity to question the potential jurors to learn of any biases or prejudices present that could prevent a fair and impartial trial. The defendant and the prosecutor may each strike three potential jurors from the voir dire. All cases tried in the municipal court will be heard by a petit jury that consists of six people. If a defendant elects a bench trial, the presiding judge will hear and decide the case. The defendant and prosecutor will present their evidence to the judge. The judge then applies the appropriate law, weighs the evidence presented, and renders a verdict of guilty or not guilty. The judge will also assess the defendant’s fine and order the costs and fees to be paid by the defendant if the defendant is found guilty. If the defendant is found not guilty, the case is dismissed, and no costs or fines are owed by the defendant. If the case is tried by the judge, the decision is called a judgment. If the case is tried by a jury, the decision is called a verdict. 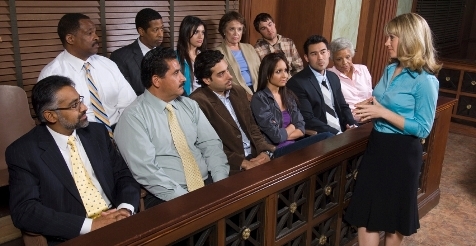 The judge or jury can consider only the testimony of witnesses and any evidence admitted during the trial. If you are found guilty by either the judge or jury, the penalty will be announced at that time. Unless you plan to appeal your case, you should be prepared to pay the fine at this time. The Duncanville Municipal Court is a court of record and follows the rules of appeal found in Chapter 30 of the Texas Government Code.